Nathaniel has been disobeying us when it comes to bedtime: getting out of bed, playing with his toys, jumping on the bed, etc. So after the nth time of telling him to go to sleep (and by this time it was already almost two hours after we laid him down), Hubby took all the toys out of his room and threw them in the trash. 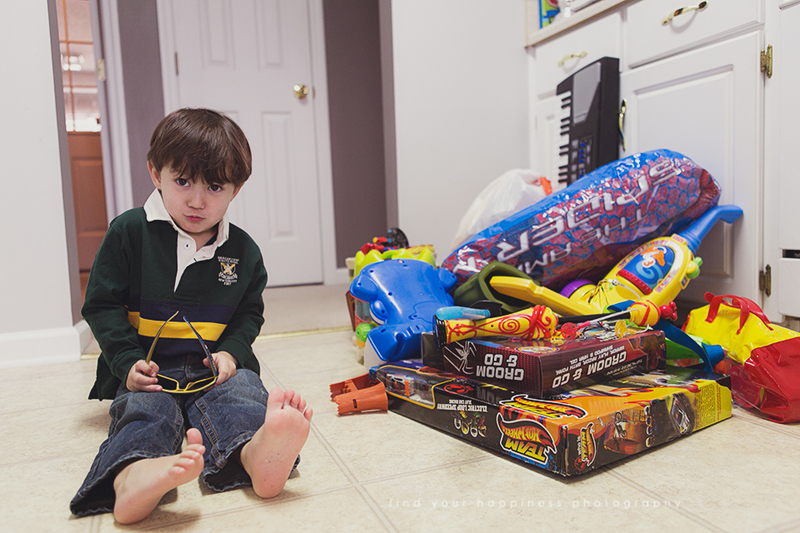 No, we didn't really throw away his toys. They are hidden under the bed in the guest bedroom although Nathaniel is convinced we really threw them away. 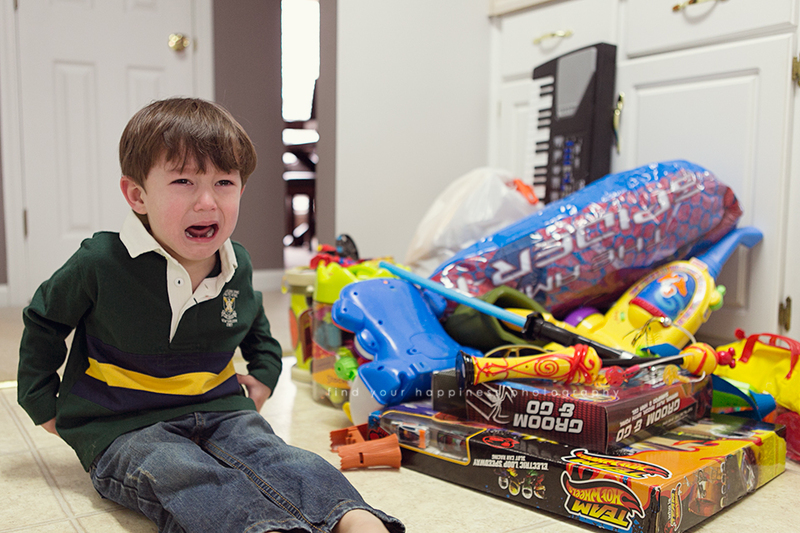 He is surprisingly handling the no toy punishment. He even helped made that pile so we can throw them away. The only thing he was devastated about is that we also took his Spider-Man pillow and blanket. Nathaniel is actually lucky because his Christmas presents from Lola came the day after we did this. I convinced Hubby to not throw those away, too. But Nathaniel is only allowed to keep one (and it's a camera!) and the rest are put away. 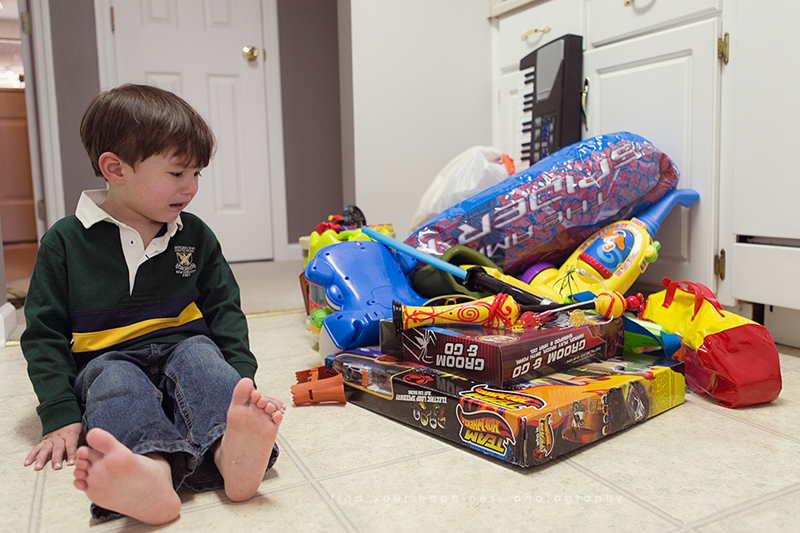 He's not really asking about his toys, which makes me think that maybe he doesn't really need all of them back. This is definitely a good opportunity for us to declutter. 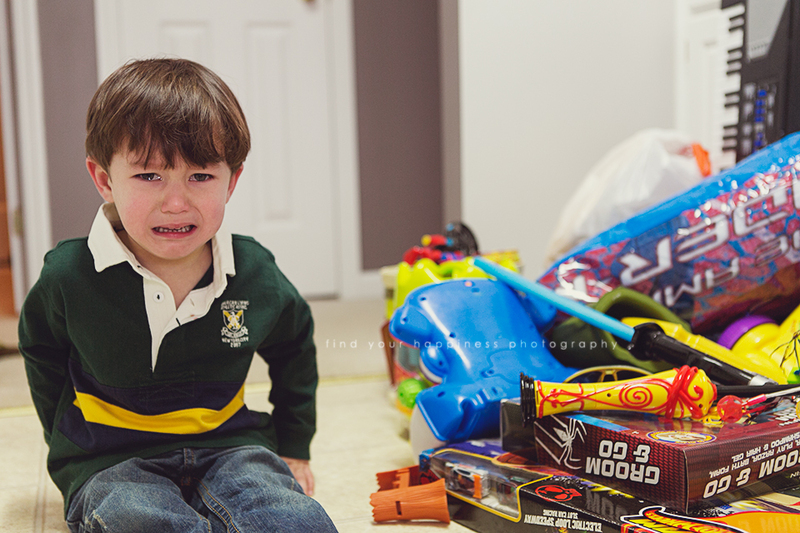 These photos were taken the next day and I wish I can say he was crying because we were going to throw away his toys. The reason for his crying is because we told him he can't wear his sunglasses while I take his picture. Because see the bottom photo? He is just too darn smug looking. So cute! Such a naughty boy. yeah - I have a hard-to-punish kid. You take away their toys and they're all like "I didn't want to play with that anyway"